Ants communicate and cooperate by using chemicals that can alert others to danger or lead them to a promising food source. Ants can lift and carry up to 20 times their own weight and usually weigh between 1-5 milligrams. Carpenter ants nest in wood and can be destructive to buildings. They are large and prefer dead, damp wood in which to build nests. Unlike termites, Carpenter ants do not consume wood but rather move it into piles we call frass. 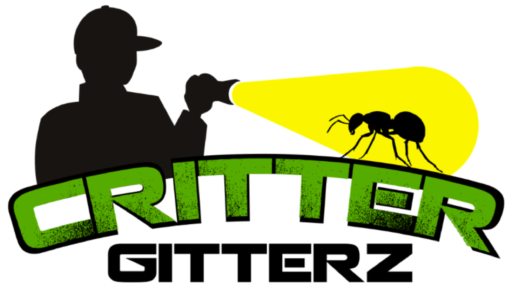 Sometimes carpenter ants will hollow out sections of trees or infest wooden buildings and structures. 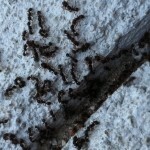 The pavement ant is a common household pest. Its name comes from the fact that colonies usually make their homes in pavement. During early spring, colonies attempt to conquer new areas and often attack nearby enemy colonies. These result in huge sidewalk battles, sometimes leaving thousands of ants dead. In summer time the ants dig out the sand in between the pavements to vent the nests. The pavement ant is dark brown to blackish. They will eat almost anything, including insects, seeds, honeydew, honey, bread, meats, nuts, ice cream and cheese. The Pharaoh Ant is a small yellow or light brown, almost transparent ant with a darker abdomen. Notorious for being a major indoor nuisance pest, especially in hospitals. They thrive in buildings almost anywhere, even in temperate regions provided central heating is present. Pharaoh ants use a positive feedback system of foraging. Each morning, scouts will search for food. When one finds it, it will instantly return to the nest. This causes several ants to follow the successful scout’s trail back to the food source. Soon, a large group will be upon the food. They can feed on a wide variety of foods including grease, sugary foods, and dead insects. They can also gnaw holes in silk, rayon and rubber goods. Nests can be very small, making detection even more difficult. They are usually found in wall voids, under floors, or in various types of furniture. In homes, they are often found foraging in bathrooms or near food.